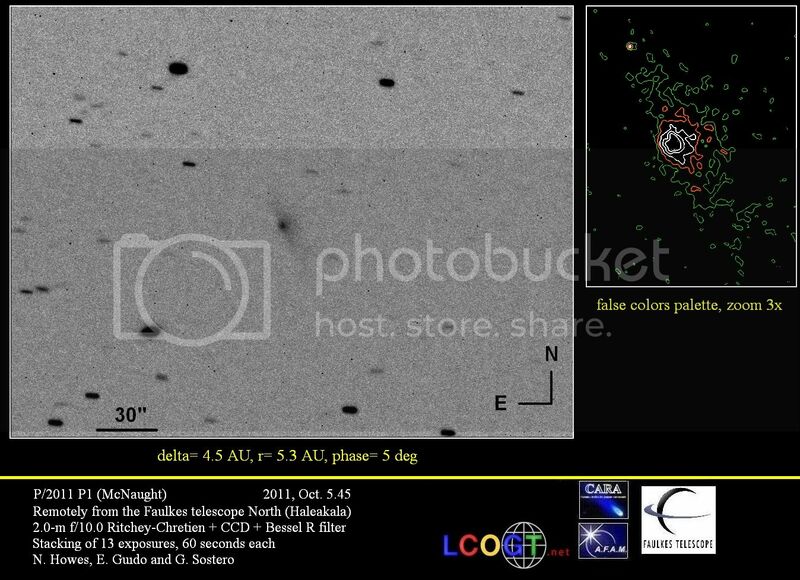 Only a fraction of the scientific data recorded with everything from big radar dishes to a 10-meter telescope with adaptive optics to the large IR satellite Herschel have been reported yet, but it can already be stated 2005 YU55 will probably be the best studied minor planet (not directly visited by a spacecraft) ever: a live-blog tracked the news from Nov. 6 til 10 and has many pictures, videos and links; since wrapping I've seen more videos here, here, here, here and here - also an improved radar movie, a late wire story and a simulation of what would have happened had YU55 impacted Earth. In other planetary system news a long press release on a meteorite found by a Missouri farmer - a 17-kilogram pallasite! 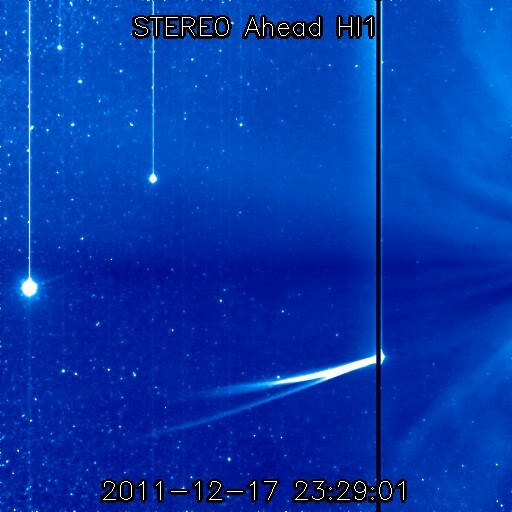 - and pictures of a bright Dutch bolide of Nov. 12. 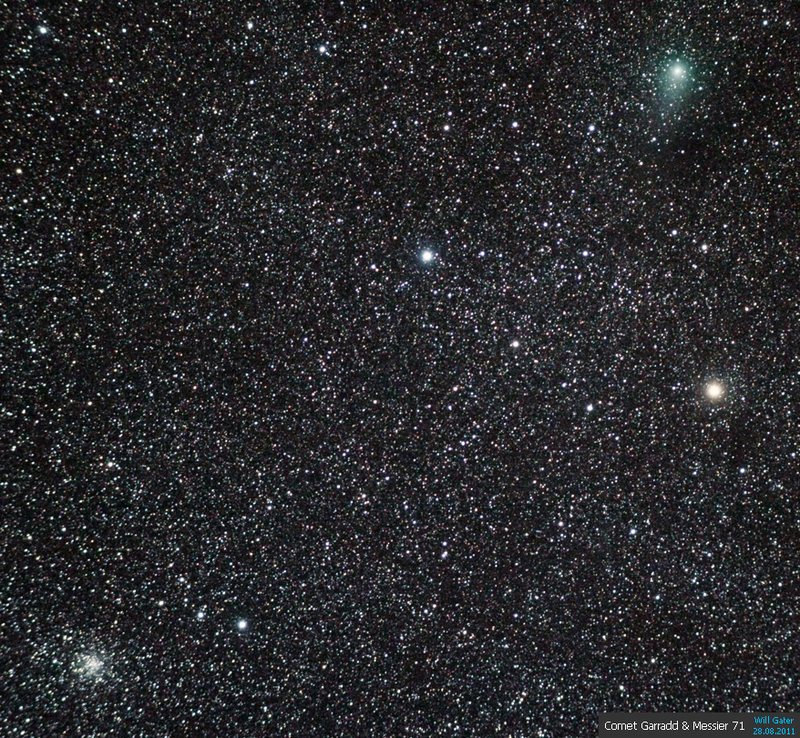 • Another - very faint - detection of (ex-)Elenin on Nov. 8, a great picture of comet Garradd of Oct. 30 - and C/2010 S1 (LINEAR) approaching the Bubble Nebula on Nov. 12. • How Venus & Mercury were easy - when you were in Australia. 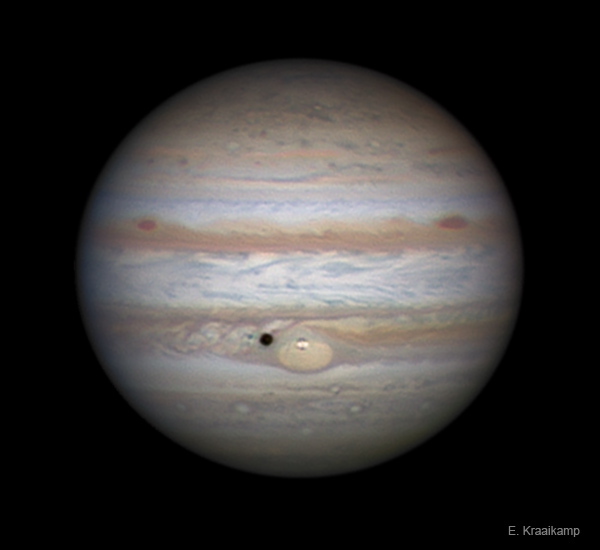 • Some selected Jupiter images of Nov. 13, Nov. 6 (more) and Oct. 23 - and a breathtaking animation of Jupiter images taken with the Pic du Midi 1 m telescope in October! The huge sunspot group 1339 is almost history after - despite breathless articles like here, here and here - crossing the solar disk w/o further incidents: some selected pictures of a fine prominence today, the white and H-Alpha Sun (more) and a huge filament on Nov. 12, the white Sun full of spots on Nov. 11, a spotted sunrise on Nov. 10, the full disk + detail on Nov. 9, the group at the center on Nov. 8, the group and a spotty sunset (another one = an APOD) on Nov. 7, the full disk, detail, H-Alpha and spotty sunset on Nov. 6, detailled drawings of Nov. 5 (also a photo) of Nov.5 and earlier drawings of AR 1339. • Plus no superflares (more), strange jumping sundogs - and the likely end of the leap second. 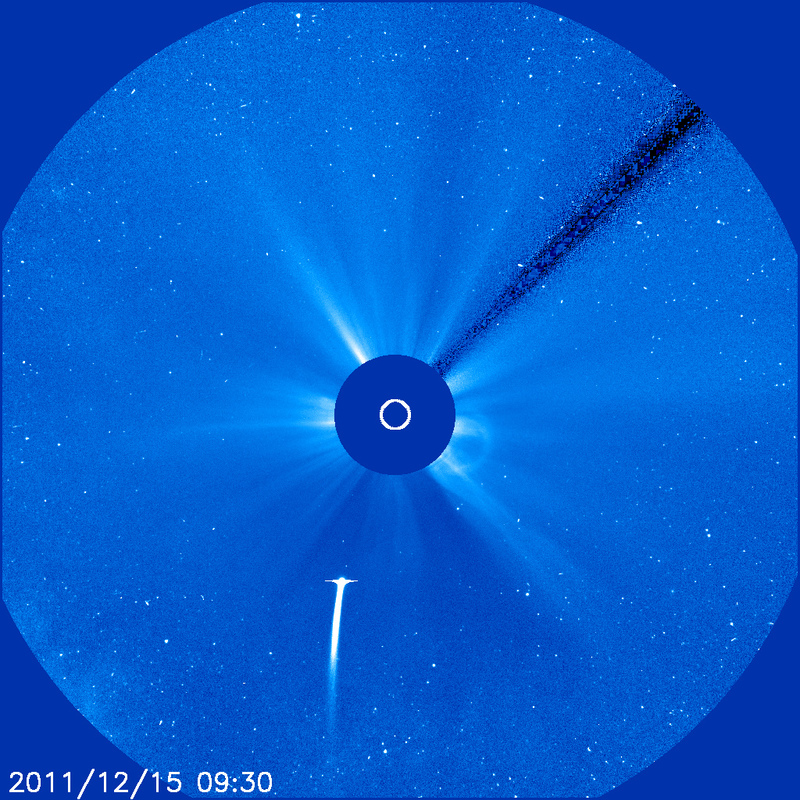 when the comet or rather its debris cloud - now impossible to observe from the ground - will make an appearance in the field of view of SOHO's coronagraph LASCO 3 a week from now? 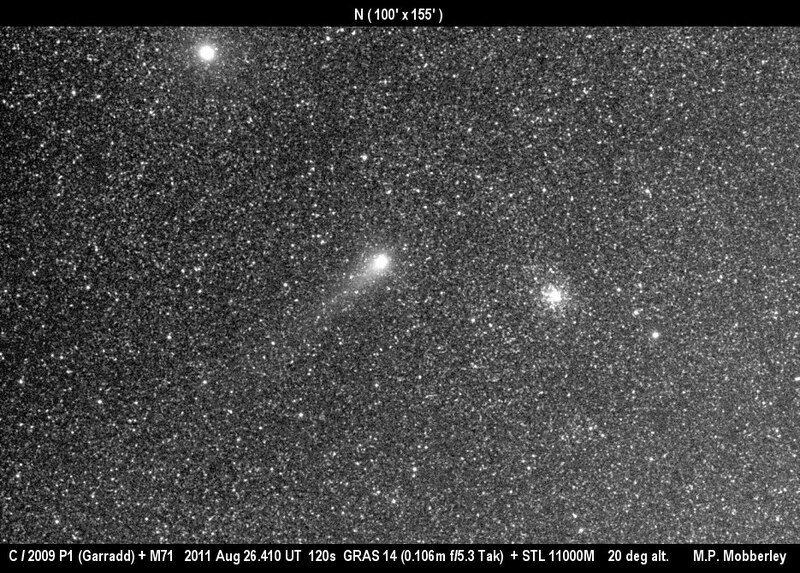 Despite a brightness enhancement of its dust due to forward scattering - the comet is practically between us and the Sun - the SOHO comet experts are pessimistic, given the apparently complete decay of Elenin beginning August 20. 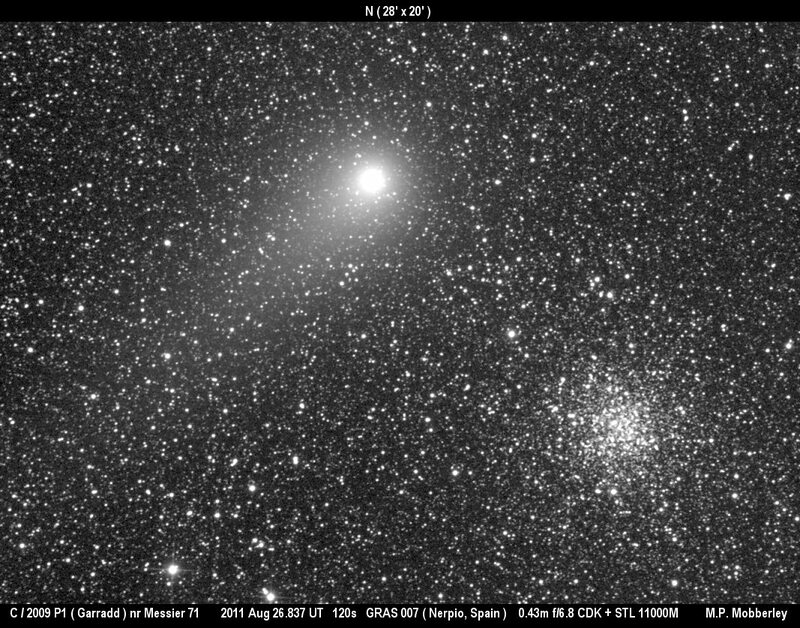 The most diligent observer of its fate was an Australian: His pictures document the dramatic change of the comet's appearance as well as its sudden break in the light curve - by September 14 it had fallen below 10th magnitude again. 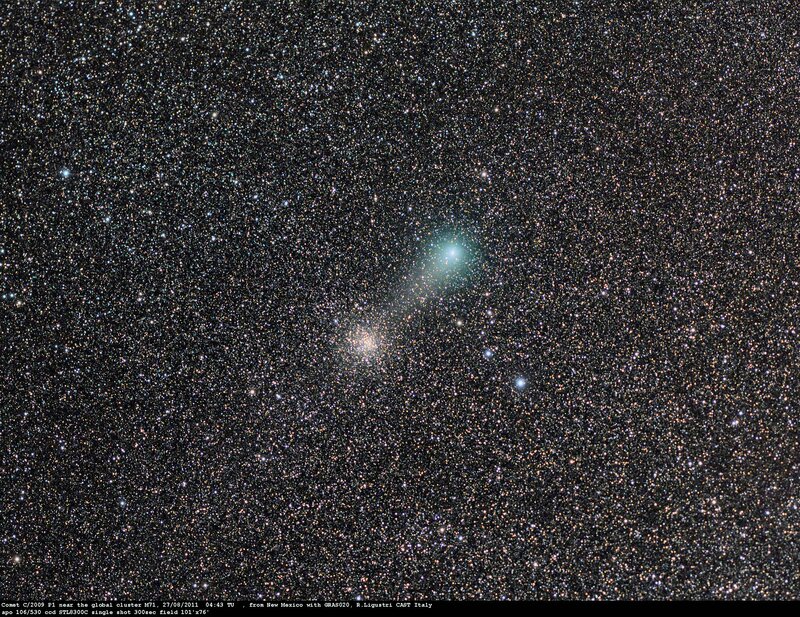 The comet had also been followed by the STEREO spacecraft (images of Sep. 10 [enhanced], Aug. 25, Aug. 23 and Aug. 21), another Australian and radio astronomers; stories about the decay also here, here (earlier), here, here (earlier), hier, hier and hier. 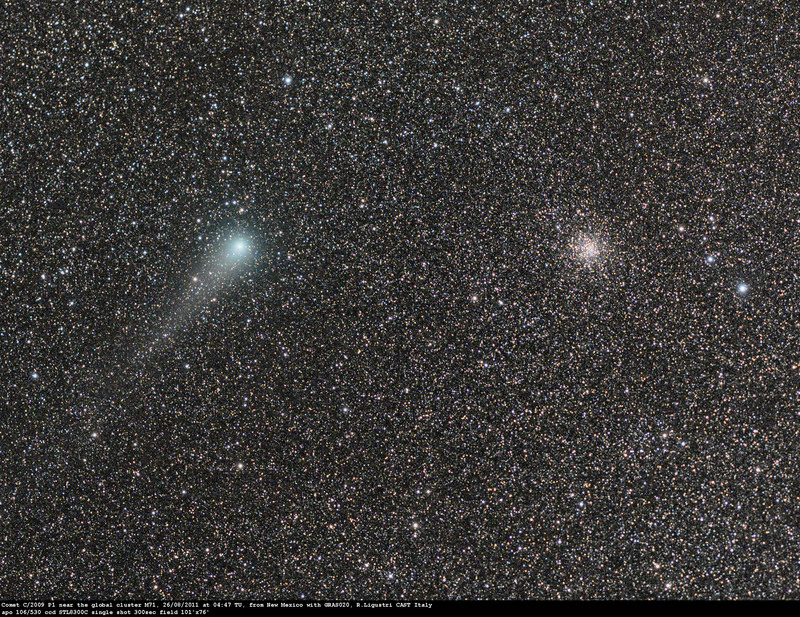 In other comet news van Ness may also have fragmented again (more, more). 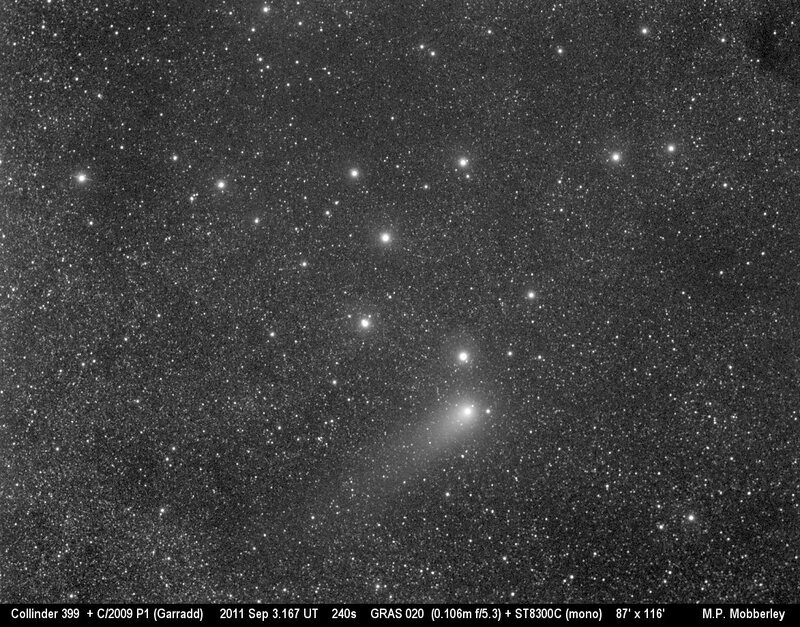 • Garrad continues to be tracked widely as the comet passes numerous deep sky objects: many pictures, esp. from the 'coathanger' visit and selected images of Sep. 10 (more), Sep. 7, Sep. 6, Sep. 3 (more, more, more and more), Sep. 2 (more, more and more), Aug. 29, Aug. 28, Aug. 27 (more and more), Aug. 26 (more, more, more, more, more, more, more and more) and Aug. 25. 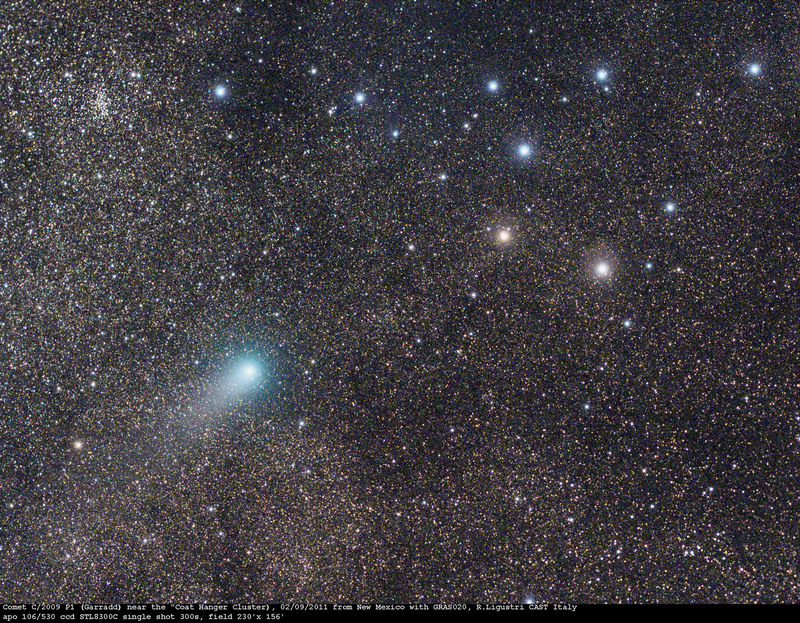 • Also new comets from Russia (media report), PanSTARRS and SWAN. In further small bodies news thoughts on color diversity in the Kuiper Belt and tectonics on and oceans in icy worlds. • Hailing the outcome of the Antiope occultation. 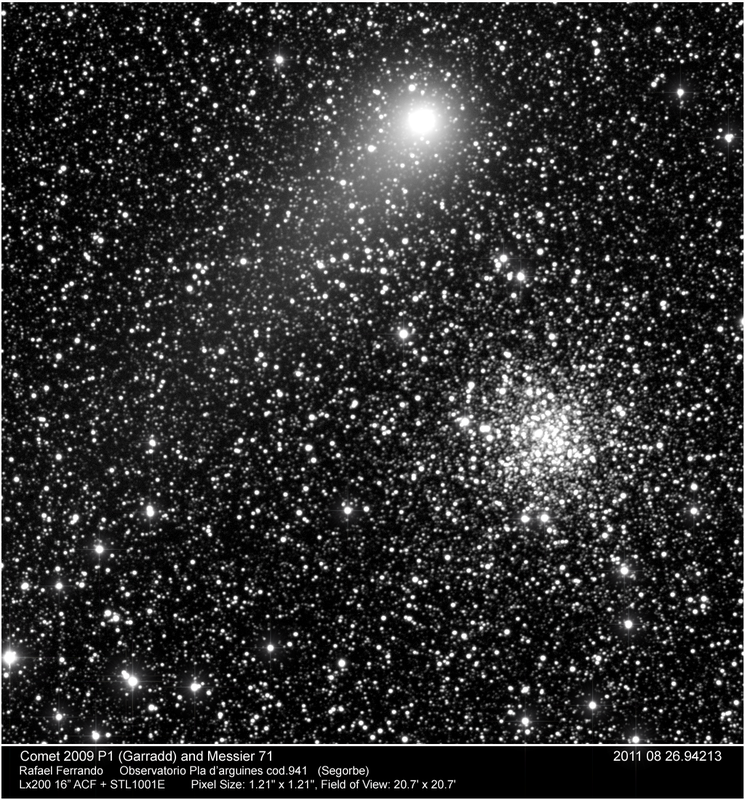 • Everyone wants a satellite to hunt for NEOs. 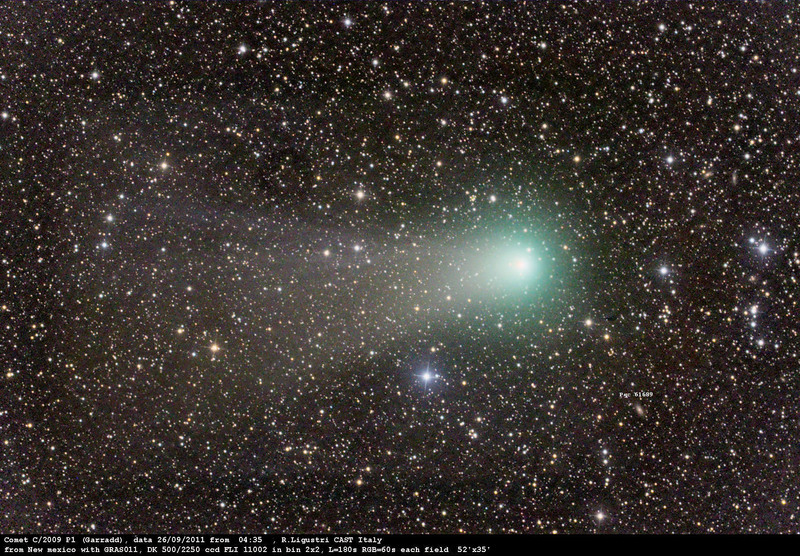 • A major bolide over the SW U.S. on Sep. 14: video & analysis, NASA statement (alt.) and early stories here, here, here, here and here; also an earlier bolide over Atlanta (more) - and details about the meteorite rain in Kenya. 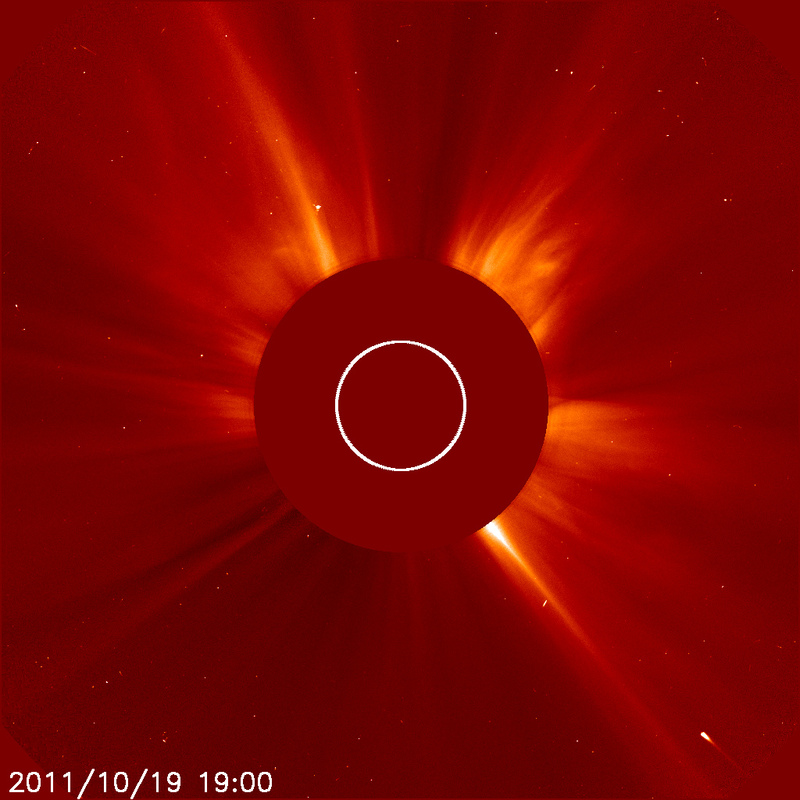 On the Sun a series of flares kept observers on edge: there were X flares on Sep. 7 (video, pictures, story, follow-up, aurorae, pictures) and Sep. 6 (video, story, more and an M flare on Sep. 5. 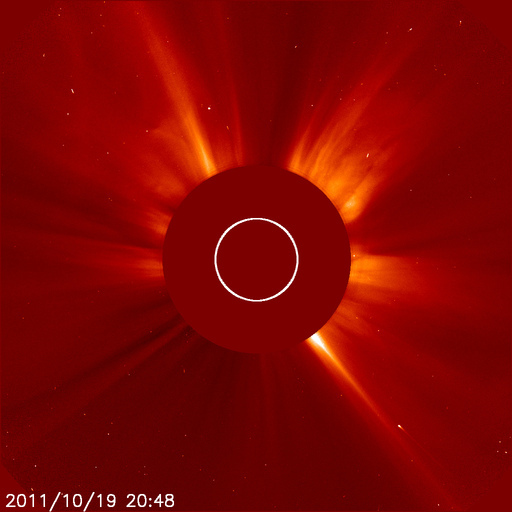 Also insights into late flare phases (more, more, more, more and mehr), fast substorms, linked solar eruptions, climate (non-)effectsand old Mariner solar wind data (and the usual fear-mongering about the Sun). • The 2017 solar eclipse 'megamovie' ideas gets also advertised here, here and here. 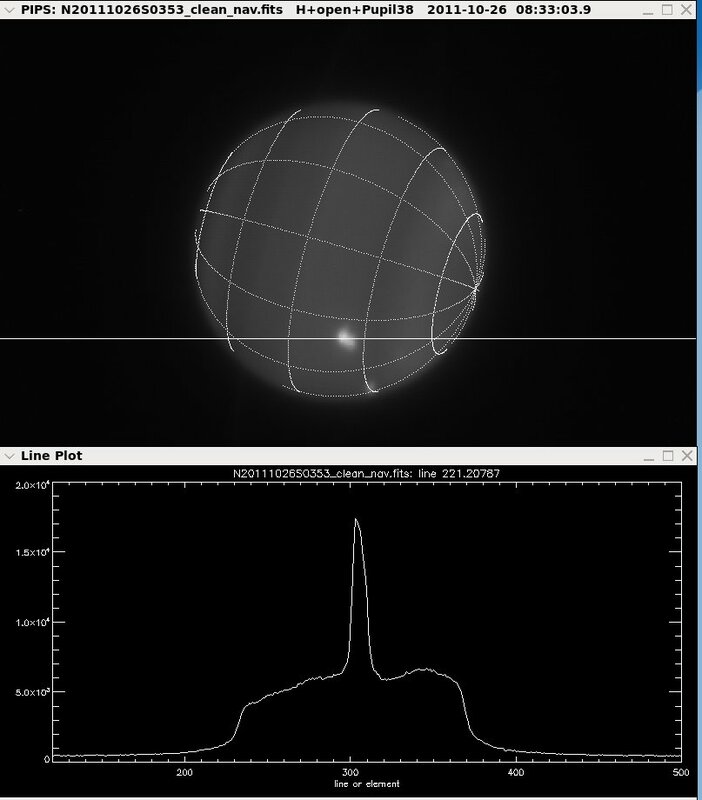 • There is now a Zeta Aur campaign (not for visual observers) and a Nova Sco 2011 #2 - while the developments with SN 2011fe in M101 - just past a peak at 9.9 mag. vis. - are covered here and here with numerous links. In other news there was once more major confusion about Ramadan's end as observers struggled with the lunar crescent. 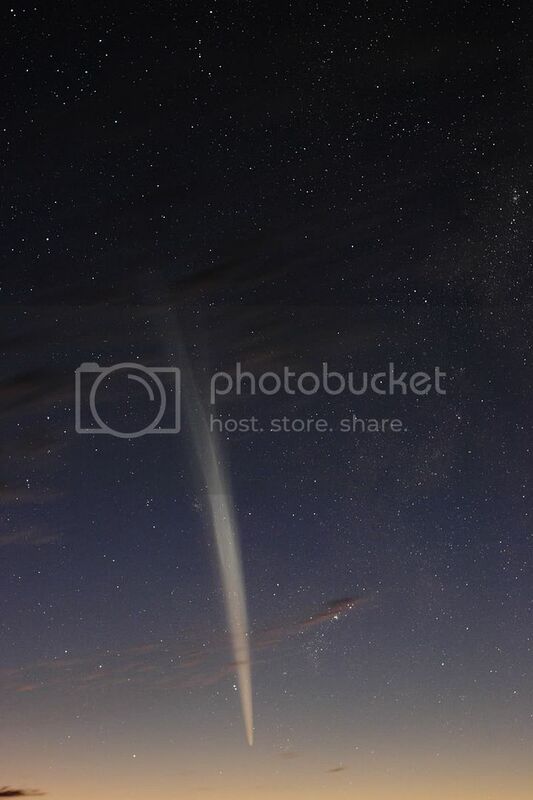 • Another ridiculous contrail mistaken for a bolide, also discussed here, here and hier. 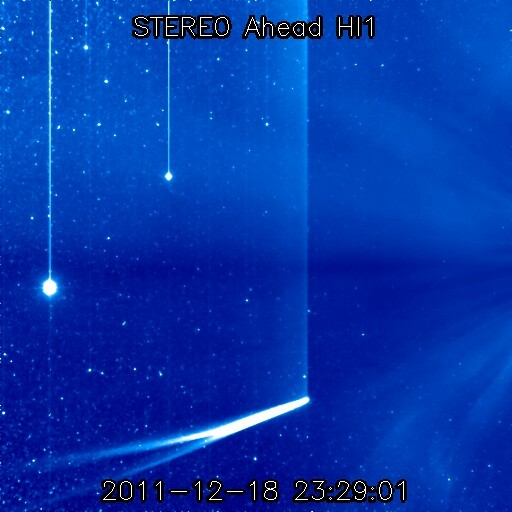 • A huge flare from a satellite and hi-res images of NanoSail D from August and earlier. 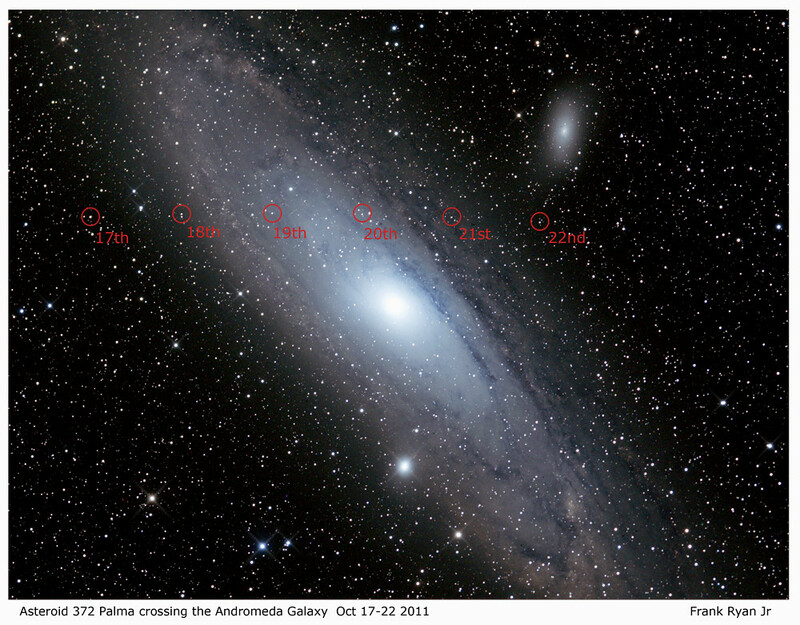 • The winners of Astronomy Photographer 2011 get covered e.g. here, here and here. • And finally the sky highlights for September - besides Garradd and the supernova - consist mainly of the opposition of Uranus on Sep. 25 when the planet reaches 5.7 mag. Dwarf planet (1) Ceres is in opposition today, but has only 7.7 mag.